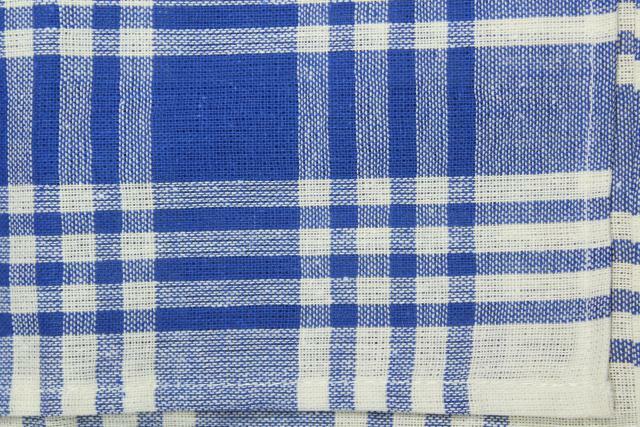 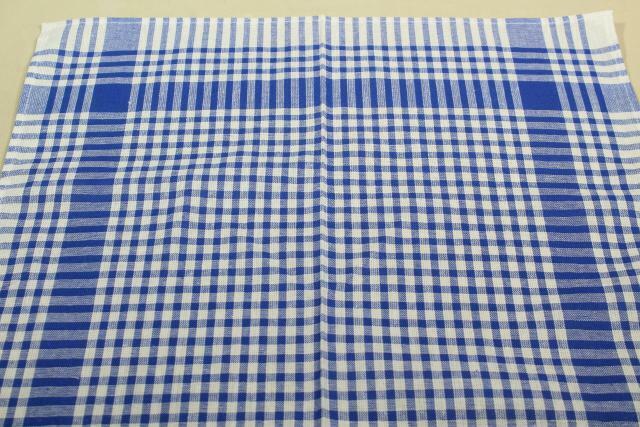 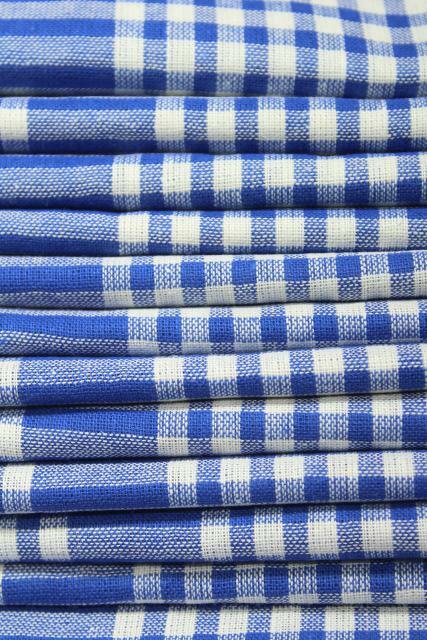 Set of one dozen vintage blue and white gingham check cotton kitchen towels, a loosely woven fabric, nice and crisp yet as they've never been used. 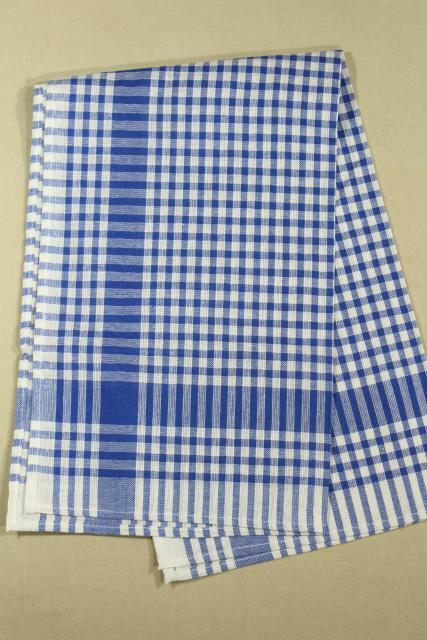 These measure about 17" x 28". 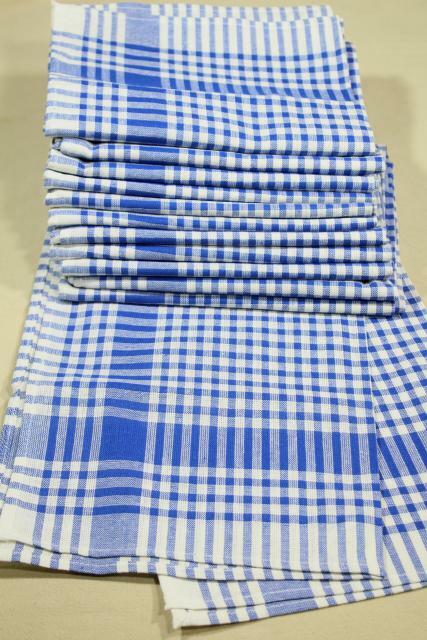 All are in very good condition, bright and clean.